This is the story of my life. There were deeds done in sin, but this is written for God's glory. The sin has been diluted but may still be too graphic for children. I do not name any names, including my own, to protect the privacy of my family, friends, and my self. I was born in the late 60's on a military base in the South Eastern USA. My father was in the military, the son a farmer, the son of a Slavanian immigrant. My parents were raised in Wisconsin. My dad was in the military for 8 years. He got out when I was about 5. The first couple years of my life, my dad was in Vietnam. At the age of 9 months, without having ever crawled, I got up and ran. I was given a sister when I was 2. After my dad came back, he was stationed in Chicago, where we lived until I was about 4. I remember going to Sunday School class, probably in a Lutheran Church. I asked my teacher if I could get a drink of water. I remember getting a drink because I didn't want to lie, but my real motive was to leave and go home. I then exited the building and started walking home. I saw my teacher coming after me in a car, so I ran in a field to hide, but she found and got me. I got a spanking for that one. Soon my dad got stationed in Michigan. It was there I started Kindergarten. Another early memory about this time, is rock climbing with my dad. I remember we were walking on a narrow ledge above a very steep cliff over a strong river rapids, (my dad tells me that it wasn't a complete drop off, there was some slope, my memory of it is almost as a drop-off). I slipped and slid down the steep slope. As I fell, my hands went up, and as they did, I grabbed a small branch or stem of a bush or tree as I fell by it. I held on to it with both hands. My dad reached down and grabbed me just as the branch snapped. I remember looking down to see the branch fall down to the river. It wasn't long after I started kindergarten, that my dad left the military. We stayed at my mother's parents house, until my parents could find our own place. They ended up renting my dad's grandparent's house, on his mother's side. I switched schools, it was in a different district and town in Wisconsin. We stayed there until the summer between my 2nd and 3rd grades. It was this home that I had the following dream. I was in a room at my school. It was called the Fish Bowl Room. It was circular with about 4-6 stairs leading down to the center. In effect it looked like a bowl. I was standing in this room in my dream. On the wall was a screen. It was like a TV screen. It was live and it had satan on it. He could see me, as well. In fact he was laughing at me and pointing right at me. As he did so, I began to melt into a pool of blood. I was about 50% melted when my mother came running in and threw a glass of water on me. I became whole, and then woke up. Here is the interpretation: satan had authority to destroy me because I was unsaved. My mother represents the church and the water represents the Word of God. Through the church, with the Word of God, I became saved. My parents bought a prefab house which they put near my dad's parents place, out in the country near another town in Wisconsin, but in the same school district as my mother's parents. This happened when I was about 8 years old. It was here, what I still refer to, as my home or home town. My dad's family; his dad and brothers, owned perhaps nearly 2000 acres of land. On this property we had 2 lakes, a dozen or so ponds (the ponds were less than nothing to us), a creek, a sand dunes, farm fields, swamps, and plenty of woods. They are hunters and fishermen. We had a garden bigger than a football field. This land was very cherished by my dad's family, and brought years of exploring and contentment for myself. I still have fond memories of the land. We began to attend a Lutheran church about 3 towns north of us, where my mother's family attended. It was here where I learned the Bible and became a believer in Jesus. We had Vacation Bible schools, Christmas dramas, and later I became an acolyte and was president of the newly formed youth club. I began to excel in Sunday School. By the time I was confirmed (somewhere near the 7th grade) I was answering most of the teacher's Bible questions. During confirmation, I was the only one who could answer the pastors questions. He had to ask the other students directly by name to try and get any answer from them. It was in 3rd grade that I met a lifelong friend. He was a year younger than me. He lived down the road from me, a couple of miles or so, towards town. We lived 5 miles from town. As years went by, we became very good friends. But in a few years he moved to a city, about an hour away. We kept in touch as best we could, but the distance caused us to put our friendship on hold at times. I think it was about when I was in the 8th grade, when my parents were divorced. To this day, I don't believe it hurt me that bad. Yeah, I cried alot when it happened; yeah, it caused problems and sin in my life; yeah, it was from satan; but it didn't knock me down. It was the marriages afterwards that really sent me for a loop. We (my sister and I) were given free choice on whom we would live with. I chose to live with my dad, my sister chose to live with my mom. As I look back now at this time, perhaps even for the first time; the family memories I most cherish came before this event. I don't have many memories about the following years. They were hard for my dad and I. He is a disabled veteran, and most of the time it had been my mother providing the income. My dad hunted, gardened, did all he could to provide for us, and later, just for him and I. On weekends, and during the summer, I would visit my mom and sister. My mother had been working in the city my friend had moved to. She had been driving there, two hours every day for years (an hour there, an hour back) for work. So with her moving there, I did get to spend a little more time with my friend. My dad married a cousin of my Mother. She had 2 children also. A daughter who was about 7 years younger than me and a son who was about 10 years younger than me. She was a Baptist. My stepmother was about 11 years older than me. At first I got along well with my stepmother, but not so well with my step-dad. But in time it switched, quicker though with my step-mom. Soon I began to hate her. To this day, I can say she was the only person I ever truly hated. May God forgive me, as I have forgiven her. But at one time, I would actually plot terrible things to be done to her in my mind. I have since repented. There was a prophetic incident during this time period. One day, my dad went to my step-mom's dad's house. He owned a plane and a private airfield. This was about 40 minutes drive from my home. My dad was invited to go flying with him. On a spur of the moment, I decided to go hunting. I took my dad's truck out, and proceeded to get it stuck in a ditch in a swamp. I walked to a friend's house and called my uncle to get a tractor and pull me out. When he came, an airplane flew over, I wondered out loud, "Could that be my dad?". When my dad came home, he said to me, "So, you went hunting with my truck", and I knew that it was indeed my dad who was watching from above. Always, I now know, that my Father in heaven watches me from above, no matter what I do, He sees me. When I reached high school, I really started to become independent. I became active in any, and almost all extra curricular activities, half of them I think, just to get out of the house, away from that situation I couldn't handle. It was through these trialing times and activities that many of God's gifts in me became known. I also found release through my high school guidance counselor, who would listen to my trialing times. The Lutheran church didn't help me, except in the teaching me the Bible. I didn't learn any doctrine about God helping me, I didn't learn about the Comforter (the Holy Spirit), but only the saving grace of Jesus Christ for eternal salvation in heaven, no help for today. I think I remember asking about salvation, and was told that we wouldn't know if we were saved until we died or on Judgment Day. There seemed to be no eternal security while we lived, according to the Lutheran doctrines that I understood. I learned that I didn't like team sports and was not good at them, except softball & volleyball. I wasn't good in band either, but excelled in singing, drama, and story telling. In the summer between 9th and 10th grade, I decided to run away from home. I had had enough of my stepmother. I smuggled nearly all my possessions into a huge bed of tall ferns, across the road and field from my house. But as I was away walking in the woods, my dad found my stuff and left a sign for me to come home. All I had left was a pair of binoculars, a canteen, and a hatchet, which I had been carrying. That upset me further. I may have had come home within a day, but losing my stuff hardened my resolve and I lived in the woods for 3 days and 2 nights. I slept through a thunderstorm in some bushes and stole food out of the garden at nite. I had attempted to walk thru the woods to a friends house that lived near another town, but got turned around in the woods and ended up near home. But on the 3rd day, I had decided to go to my mother's house. I was frightened of my dad's anger for my running away, and still hated my step-mom, but my fear of my dad was the greater. So, I jumped onto the road as my step-mom went to work (she worked in the same city as my mother). She stopped and let me in. I said, "I want to go to my mother's house and I don't want to talk." She left me alone and took me to my mother's house. I was given the freedom to move in with my mother, we were originally told that we could only switch parents as our residence only once, to keep us from manipulating our parents. Mercifully, they always were kind to each other after the divorce, and never spoke bad about the other (praise God!). I had to share a bedroom with my step-dad's youngest son, who was a couple years older than me. Because of confrontations with some of the neighborhood kids during previous summer visits, I decided to go to the Catholic school my step-dad sent his kids to, instead of going to the public school and meeting up with the angry neighborhood kids. What I liked to do, was to tease bullies, I got the thrill of adrenaline as they chased me. I was fast. I figured I could outrun anyone who was strong enough to hurt me. I guess this was a manifestation that God put in me, the hatred of injustice. Whether or not I liked the kid they picked on, was of no importance to me, I always tried to judge things rightly. So, in turn, I would tease these bullies. I would spend lunch hours in high school teasing them and have them chase me. I got addicted to the adrenaline rush of having the big bullies chasing me. So to Catholic school I went. I didn't like the Catholic Church at all then, neither did I like the Baptist church. Once, when I was with my dad and step-mom, they decided we all were going to go to her Baptist church. I spoke out my allegiance for the Lutheran church and voiced my dissent. But was forced to go nonetheless. At the church I refused to participate at all. Growing up, my sister and I were taught and forced to participate in the service. Until we were confirmed, then at that point we could choose. I did so willing, but not that day in the Baptist church. I was threatened and scolded, but when we went home I think I got only a minor yelling at, but was never forced to endure religious services I disagreed with again. I believe my dad stepped in on this decision and recognized my choice. If I had truly understood the Bible, I probably would have enjoyed the content more at the baptist church, but I was very closed minded about it. I was a strong Lutheran. There was an even earlier time, when me and my sister were younger, we went to a Baptist Summer School with our cousins. I think I had decided after that experience that I didn't like any other denominations except Lutherans. Anyhow, at the Catholic school, I was the only one in the school to not have to take religious training. But the most interesting thing happened to me there. I was popular. Almost everyone liked me. It had partially to do with the school dances. None of the guys would dance. At my other school they did. So when I danced, everyone was amazed. We had dances every Saturday nite, and dance I did! Tho not in any great way, but perhaps my enthusiasm and boldness, is what caused everyone to like me. School was great there. People were even encouraging me to ask the head cheerleader to the Prom. However, I got into a problem that I couldn't take care of, I won't go into detail here. Because I still don't want some of my natural family to know what happened. The problem was with someone else, I wasn't angry or in hatred like with my step-mom, but it had to do with something else, that I could find no resolvement for. In the end, I skipped school, and wandered the city thinking of running away from home. Eventually, frustrated, because I didn't want to move, especially back with my step-mom, I decided I needed to get help. I didn't want to run away again. I couldn't or wouldn't expose the situation or problem with anyone else ( it had nothing to do with abuse of any sort to my person, mother, or sister). I decided to go to my pastor, at my mother's Lutheran church. In the end, I had to lie. I told my pastor I was frustrated with my life, I wouldn't tell him what the problem was. He proceeded to help and prod me with questions and advice, but because of my closed answers, he came up with a question of my being suicidal. He suggested a stay in the hospital. I agreed to go. I was not suicidal, I was frustrated with a situation, not with my life. I wanted to leave the situation, which required my moving, but I did not want to move back with my step-mom. So I jumped on the idea of going to the hospital. It separated me from the problem I was experiencing. A decision was put before me; where to live? In the end, I decided to tell my dad about the problem, he wholeheartedly understood, kept it quiet (and still has), and helped fix it (secretly). He also gave me opportunity to move back, despite the original conditions given to my sister and I. So I moved back with my dad and step-mom. I got some peace from my step-mom, mostly by her and I ignoring each other. It was acceptable to me. But soon after this, my dad's house burned down. I had been teaching myself piano, my step-mom owned one, but it burned, along with everyone's stuff except mine. However, eventually I had to throw almost everything I had away, because of smoke or water damage. I had continued to find my other talents, as a positive outlet to getting away from the house, my step-mom in particular. We moved into an apartment. It was too small so we rented 2 apartments. The 2nd was for me and storage. At 15, I had my own apartment! Well, in about a year, my dad had the house rebuilt. We moved in. In the summer between my 11th and 12th year. I decided I had had enough of living with my step-mom again, and the situation in the city where my mother lived, which had bothered me, was now resolved. I chose to move back with my mom and step-dad. I was told that this would be it, no more bouncing between parents. I agreed. During my senior year, a great change came on me. I finally gave over to the works of evil. I became a true worldly teenager. I got involved in thievery, drinking, stealing alcohol, and smoking cigars. I stole perhaps 500 cases of beer. I got invited to alot of parties. Hey, I had the beer. I knew what I was doing was wrong. I would sell the beer and soda I had stolen, turn around and give alot of the money to the church, thinking it would, appease God or my conscience. I remember one time when I was drunk, a responsible adult came into my room complaining about the light fixture in my room, which had gotten broken during a small party. I got angry and was worried he would find my stolen beer in the closet. Up to 30 cases or so at a time could be found in there. So I threatened him and yelled at him to never come in my room. I put his head under my arm in a headlock and threatened to kill him. I even squeezed his neck with the force of my arm, and I was in wrestling that year at school. I let him go and it never went further. (May God forgive me, but what's next is perhaps worse.) The next morning, when sober, the responsible adults who were watching over the situation, began to question me about my behavior. I told them (May God grant me mercy! ), to leave me alone, because perhaps I was the returned Christ. I was a mixed up kid. God was calling me, and as He was pulling me to repentance and I could feel it. I knew I was in sin. This feeling of God calling me to repentance, mixed with my limited Bible knowledge and the work of satan, made me religiously pathetic. About this time, my dad got divorced again. Had I known, I probably would have stayed with him, but alas, we don't know those things. Then, I got caught stealing. I was 17. I had, at the age of 15, waited to sign up for the military. When I turned 16, I went to Milwaukee, to get a physical and enrolled in the Delayed Entry Program. So, when I got caught stealing, I was afraid the Air Force would find out. I confessed to taking about 50 cases. The number stolen was not known by the authorities. I didn't know how much exactly, but knew it had to be around 500. But since no one knew, I said about 50. I got off with a small fine, had to return any stolen goods. My record was promised to stay sealed as a minor, and would not be given to the military because it was my first offense. But I had to keep my nose clean. Well, this shook me up a little. I think I stopped going to church, or went less frequently. I graduated, with no problems, except for a graduation party which got out of hand. I planned on enjoying the summer off before going in the military, but my dad needed help. My stepmom was gone, he was unemployed, and disabled. So, 2 weeks after graduation I went in the military to help support my dad. The Military... it changed me. I stayed away from illegal activities and cleaned my act up by legal standards. But I was independent and selfish. I filled my life with entertainment; movies, games and computers. I stopped going to the Lutheran church. I had went one time after joining the military, but the service felt dead. I got new friends, played Dungeons and Dragons, and other role playing games. I started to drink purposely to get drunk on the weekends. Fantasy and Magic were really interesting to me. I was into: UFO's, Bigfoot, Lochness Monster, Bermuda Triangle. All those borderline cult interests. I thought all of it was real, and was highly into it. I bought books, watched specials and movies on the stuff. But God had mercy on me; never, ever, did I know magic and witchcraft were alive and real (I only followed and believed that borderline cult stuff). Magic, I thought, was fantasy. Had I known it was real, I would very easily and hungrily went into witchcraft or sorcery. Now I had more money for booze and entertainment. A friend whom I drank and gamed with, from Oklahoma, and was going to meet with another friend or two, for two weeks of Role Playing. So he invited me and his supervisor, whom we sometimes drank with. We all scheduled for our Leave (military vacation) and went together. Before we left, my friend told me he was going to be smoking marijuana. He told me that I could have some if I wanted, but there was no pressure. I declined at the time, but wanted to drink and game. Drink and game we did. And smoked dope. I decided to try it. I tried it for the entire 2 weeks. God was with me. Not once did I get a buzz. It did absolutely nothing for me. We tried even some hash. We did: bong, pipe, rolled in paper; and none of it affected me. They told me it could take 2 or 3 days. But even they were astonished that 2 weeks of it did nothing for me, as they continually got wasted. On the last day, I did it with some alcohol, then I finally got a slight buzz. But it was probably the alcohol. On the way back, I decided breaking the law for smoking dope wasn't worth it, especially if I didn't get anything out of it. Then one day, my friend, decided to come to my dorm room for some drinking and movies. The plan was, he was gonna get toasted and I would stay sober and drive him back to his barracks. This is in North Dakota. His dorm was a block away, but it was VERY cold, VERY windy, and there was LOTS of snow. Well, he talked me into drinking one or two, and I got a slight buzz. So when it came time for him to leave, he wanted me to dive him. I declined because of my slight drunkenness. He got furious, left, and ended our friendship. Perhaps God, perhaps not. But God used it. My drunkenness and role playing declined severely. After this, another friend introduced me to a girl. She became my girlfriend. Her parents were Catholic. After we dated for about a year, it was told to me, that if we got married, I should become Catholic and any children we would have, WOULD become Catholic. I had been going to church with them, just to be with her. But then, I began to feel God calling me back to Him. In answer to this call, mixed with the advice of my girlfriend's parents and others, I pursued God through religion in the Catholic church. I went to adult catechism. Then, my relationship with my girlfriend ended. This was a monumental time in my life. I had filled my life with lust for my girlfriend and with hopes of marriage. I became very depressed and had genuine thoughts of death. I knew I couldn't kill myself, so I pondered getting a criminal to kill me, or to starve myself to death. Praise God for His hand! In the midst of this, a Catholic friend of my exgirlfriend, who was a wife of a military officer, befriended me, and took up the sponsorship of my catechism. She also steered my wounded soul to Jesus. Yes, in the midst of Catholicism there are those who love Jesus. Everyday, I began to pray more and more. I would take walks and invite Jesus to walk with me. My life started to heal, and I began a personal relationship with God at this time. Sadly, again at this time, satan came to twist God's call. I decided to become a Catholic priest. You need to understand, that I wanted God, and thought religion was the way to Him, instead of developing the relationship. I began to love Catholicism, in truth it was Jesus whom I loved, for helping me during the depression, but I confused it with the religion. I found something that could consume me (where the pains of life seemed to disappear), with an "air" of holiness. I wanted to be consumed, to lose myself, so I would feel no more pain. Thinking I would lose myself in religion, believing it was the way to God was a lie. I was led to believe through the Lutheran and Catholic church that God did not have any tangible presence on the earth or in our lives ( I am not talking about sacraments either), so religion was the next best thing, so I thought. I had a couple of problems with Catholicism though; praying to saints and confession to priests. I resisted these strongly, even to the priests. But I submitted grudgingly, so as to find my place. I tried praying to a couple of the saints, found no solace, but only in prayer with Christ. I was dreadfully frightened of having a vision of a saint, or an angel. I thought that it was near in coming, because of the workings in my spirit. I asked Jesus to not allow any visions upon me, because I was not ready for any of that. During this time, I was considering strongly in becoming a priest. I however, continued to lose myself into religion. A priest recommended a Catholic writer to me, Thomas Merton. He was a Trappist monk. After reading his material, I was persuaded to become a monk instead. I did much research. I discovered different kinds of monks. I narrowed it down to becoming a Trappist monk. Not because of Thomas Merton being one, but because they lived the strictest lifestyle. I had turned my depression into bitterness towards the world, and towards the lost hope of marriage. I had since high school wanted to marry early, quickly, and have children. This pushed me into an ascetic lifestyle, manipulated, controlled, and eunicised by the demonic spirit of Jezebel and with the help of a demonic religious spirit as well. I found that there were about 7 Trappist monasteries in the U.S.. I took leave to go to a monastery in Iowa. It was okay, but it wasn't ascetic enough for me. I spent a week there. I began to write to different monasteries, and at that time the military offered an early out program, to save on their budget. I decided to take the early out and made plans. I got confirmed in the Catholic church and scheduled to visit a promising monastery in Colorado, about a month and a half after my military separation. I left with an Honorable Discharge. This monastery seemed to be the strictest of all. It was secluded in the mountains about 10 miles from Aspen. The monks were separated from women at all times, only during Sunday service, could a monk even see a woman, and that was through a doorway into another room, where guests could assemble for the service. They were all young, and they moved the elderly monks away, to other places when they aged. When I got out of the military, I stayed with my dad and stepmom, until I found a monastery. One day while there, I got extremely sick, something was wrong with my stomach. Stomach aches had always been the worst pains in my life. After 2 days and nights, the pain became unbearable. On the 2nd night of no sleep, I decided to pray for help. Please understand, I had never heard of healing, never seen it either. In short, I cried out to God in pain, not faith, but with hope, and in earnestness. Praise God for God! He heard me! After praying, I felt led to go read a Catholic Church bulletin that was sitting in my room. I rarely, if ever, had read those things, and usually they would get tossed in the garbage. In it, it said, something to the effect of: Catholic Charismatic Conference, place —-, time —-, and so on. That Friday night, I went to the conference. There, I saw some acquaintances of a friend of mine. My friend had been trying to get me to renounce Catholicism, and introduced me to these folks. At the conference, I met up with the man whose acquaintance I had met. He decided to take some conference classes with me. One class we went to, was called: The Gifts of the Holy Spirit. Or something like that. In this class, the teacher read a bunch of scriptures that seemed gibberish to me. He just read a list of verses without explaining them. None of them in any way enlightened me, or explained what was going on. I don’t remember any of them. After this, he asked for the raising of hands of those who wanted the Baptism of the Holy Spirit. I raised my hand, and then left it up for a question, which was, “What is the Baptism of the Holy Spirit?”. He answered with, “It’s when you ask the Holy Spirit to be in your life.”. Now, I had been taught as a Catholic, that you received the Holy Spirit at confirmation. (Remember, this IS a Catholic Charismatic Conference.) So when he gathered the dozen or so who raised their hands to receive this, I declined. He then asked the rest of us, “How many of you, who have the Holy Spirit, would like a gift of the Holy Spirit.” I raised my hands with about a dozen others. They all wanted the gift of tongues. I asked for the gift of prophecy, because I had enjoyed reading about the Old Testament prophets. Please note, I had no inkling what was going on, I had never seen any of these gifts in operation, had no clue if prophecy was available, in fact if asked, I would have said it wasn’t on the earth anymore. Although I had no direct teaching saying either way. I was just being earnest in my limited faith. The prophets in the Bible had always fascinated me, and so that was the only gift that popped into my mind. He then proceeded to give a small instruction in the receiving of tongues. He said he would pray for us and lay his hands on us. He then instructed us saying: that after he would lay hands on us, we may feel in our spirit the Holy Spirit moving and we would need to open our mouth and speak as the Holy Spirit would guide or lead us to. After this, having finished instructing us, and being moved by God, he came straight to me, purposefully, and laid hands on me. Upon doing so, enormous amounts of power and energy came through him into me. He said to me, “Let it out, let it out.” I opened my mouth, and let this power within me, manifest in language through my voice. I began to shout in an unknown language, the power in my body was enormous. After a minute or so, he proceeded to pray for others. I, on the other hand, was completely baffled by what was happening within me. In a couple minutes, I toned down my volume, but it was difficult, due to the enormous energy in me, and the lack of spiritual discipline, and in ignorance of the situation. I continued to speak in other tongues, but wondered in English, “What is this, how can I be thinking in English, trying to understand what this power is and yet be speaking in another language.” (The answer is found in 1 Corinthians 14:14). At the time I did not understand. When he was done praying for everyone, I could only see 1 person who may have been speaking in tongues besides me. This person appeared mentally or possibly verbally handicapped. So I was uncertain to their true state. Well, I went home that day. At home, I could not utter another phrase in tongues, no matter how hard I tried. Somehow, it just couldn’t or wouldn’t manifest. I began my preparations for my trip to Colorado to the monastery. I arrived at the monastery and I loved it. It was everything I thought, I was looking for. It was very ascetic. Well, everything seemed wonderful, and I was nearly convinced that this would be my life. But, I wanted to pray and ask God for final confirmation for His will in my life. I wanted obedience to Him above all else, in my life. As a Lutheran and Catholic, I had believed that the presence of God could not be felt on the Earth anymore. I cannot say if this was taught to me, or if it was implied, or if I was in error through ignorance. Nonetheless, I was COMPLETELY surprised. You must understand all my thinking and observing this Presence, and the surprise happened very quickly. My years of religious training and experience, whether accurate or not, had not prepared me for this. A lot went through my mind at this time. It was not like the Baptism of the Holy Spirit, nor like the manifestation of tongues. Yes, there was power, but not a channeled power to be manifested in some gift. It was God Himself present. Not visually, neither was He present to my natural ears. I could not sense Him with eyes or ears, nor with smell or taste. But I sensed Him with touch. I did not bump into Him. I felt a tangible presence in a force. I cannot explain God’s presence to those who have never experienced it. It is incomprehensible. It’s like walking into a living wall of light, without seeing it. This is figurative, I felt no “wall” or obstruction, I felt a PRESENCE. The PRESENCE was immense, unmeasurably immense. I felt drawn to the PRESENCE, it was drawing me quietly and respectfully of my will. But drawing me nonetheless. It had the “air” of solving all my questions to the direction of my life. This “it” and “PRESENCE” was God. When it is experienced, it is understood completely, unless one chooses to lie to himself and denounce God in His face. I moved to this city, but before doing so, I called my exgirlfriend, motivated by the flesh or satan, and tried to renew the relationship. She desired to renew it as well. It was then I was struck with boils. I quickly learned the difference between the spirit and the flesh. To this day I am happy to say I ended that relationship by my choice in obedience to God instead of the various other ways it could have ended. The whole reunion with her was by telephone only and I ended it thus. I rented an apartment and shared the place with the acquaintance who had witnessed my being baptized in the Holy Spirit. This brother in the Lord, and the other acquaintances, became my new friends. I continued for a few weeks going to Catholic Church and found some Catholic Charismatic meetings to go to. But it soon became apparent, that the Catholic Church was ignorant of these things or was withholding them, so I left the Catholic Church. I believed that the truths of God should not be hidden, and could no longer participate in a church that hid God's truth. I finally got settled into a nondenominational local church and received water baptism. A few months after this incident God called me to go to a specific Bible school but I was too intimated to tell my new christian friends. So didn’t listen to God’s will. In stead I sinned and decided to rejoin the military. But this time the Navy. God tried to stop me, the Air Force was very limited in their recruitment and had no positions in my field, so I went to the Navy. Now I was in real disobedience, for God had tried to stop me by making the Air Force unavailable. Before, swearing into the Navy, I went back to Wisconsin. While in Wisconsin, I came to my senses and realized I was in sin. I decided to not go in. However, the recruiters kept giving me a hard time. They faked a phone call from a high ranking officer and said I would go to jail if I didn’t go. I became intimidated by them, and by one of my parents, and through the advice of a pastor, whom said that I shouldn’t have any skeletons in my closet. So I decided to go. But then, I did go and swear in. I hoped to get out quickly, because I knew that you could leave the military in the first 180 days without any penalty, except perhaps bad words tossed at you. I was persuaded to “rough it out”, to wait and see. How foolish I was, because, while there, the instructors knew about the 180 day discharge, but by then I had given in. An interesting experience happened to me while I was in Florida for training. I had been witnessing to several guys I had been hanging out with. One day, as I was doing so with one of them, I told him that I could show him evidence of demons and evidence of God's power. I told him to walk with me to the store. 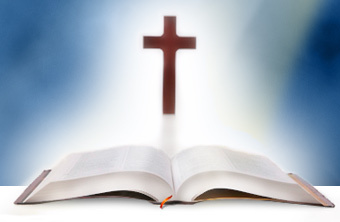 I continued to study the Bible and listened to Bible teachings that taught me God’s ways. I was stationed on an aircraft carrier in Japan. It was this next voyage that I became determined to leave the Navy. It was during this cruise that I made known to my superiors that I wanted out. They however, were ignorant of the 180 day discharge or lied about it. They gave me the freedom to find it in their books. I could not find it though, and they mocked me continually. When we finished that cruise. I stayed in Japan about a month. It was the following cruise that became utter torture for me. We left on a cruise that lasted 30 days without stopping at any port. The immorality on the ship became terrible. I soon spent almost all my time doing just the basics. The relief I found was in listening to the Bible on tape or Christian music while I fell asleep. I soon became ill. I believed that I was dying because of my disobedience to God. I went to see the ship doctor and he found that I was dehydrated. He said that I needed to drink 8 glasses a water a day. I told him that I had been drinking about 4. He said, that although 4 was not enough for me, but that it would not have caused dehydration. He was greatly troubled and astonished that I would be so dehydrated when I had been drinking 4 glasses of water a day. They had to intravenously feed me almost 2 quarts of water. When we finally got to port, I was so relieved. They began to prepare for the next cruise in which they would go to Korea and cross the equator or some such other line. At this crossing, they would perform occultic naval rituals upon those whom had never crossed the line. I was determined to do all I could, not to go on that cruise, and be released from the military. Praise the Almighty! For my superiors had decided to leave me behind for Shore Patrol Duty. Well, it was tolerable and easy work. But I wanted God’s will, to get out of the military and go to Texas and go to the Bible school. Something very unusual happened after about 3 weeks, when the ship left without me. To this day I am uncertain whether it was God or not, but at the time, I believed it was. I had this dream. In the dream, I went to the church in Texas, while there, the minister whose tapes I had been listening to; cast 2 demons out of me. He was dressed in some robe with a medallion around his neck. I awoke to a knock at my door. I was told by some guy in the dorm, that the chaplain was on the phone for me. I went to the phone and the chaplain said that I had a Red Cross message stating that my grandfather had died. I told him that I would come and see him immediately. I got dressed and wondered about my dream and this message, and instantly concluded that this would be my way home. And once in the U.S. I could get the military officials there to help me get a discharge. At the chaplain’s office, I told him that I would like to take leave to go home for the funeral of my grandfather. He understood and said he would help. I needed to get the signature of all my superiors. I proceeded to get these signatures, and the first 3 agreed. I prayed and thanked God. I went to my highest superior to get his signature. He said that a grandfather was too far removed in family relationships to allow me to take leave. I walked out of there utterly broken, but out of this, I made a decision, at the time I believed it was God. I decided I would leave without permission. I immediately packed my things and went to the Tokyo airport. I had no problems getting there. At the Airport, I got a ticket to Los Angeles. In Los Angeles, I bought a ticket to the nearest city to the Church in Texas. I used my middle name as my first and a variation of my first name as my last name. I arrived in the city of this church and made contact with them. They made arrangements for me to stay with some folks who attended the church until I could get my own place or share a place with someone else. The man who had started the church, was not at the 1st service I went to, but was at the 2nd one. The service was an African wedding. He wore an African style robe and had an African medallion, just like in my dream. Here he was wearing exactly what I saw him wearing in my dream, the very 1st time I saw him. This church is not a “sacramental” church or like other churches wear the ministers wear robes. The ministers normally wear regular civilian clothes, often suits. After 2 weeks, I could see that the land was not open for me. I couldn’t find a job. It seemed my promised land was not being opened by God. I decided to go back to Wisconsin and find out what it was God wanted me to do. Once in Wisconsin, I contacted the friends I had made there. I however, kept a low profile, and did not contact my family. When I told my friends where I was in Texas, they were highly interested. They believed that it was time for them to move and they had a couple of places in mind, one of which was this church. It was believed that this was an indication of direction for them. I made an arrangement with them. I would work and hand over my income to them, and they in turn, would house and feed me. We would move back to Texas together, and once there, they would help me to go to Bible School. Summer went by quickly, and we earned enough money to move to Texas. The local pastor had a prophetic word for me before we left. He said that there was something I would have to do in Texas that I was unwilling to do at the time. The move went well. Within two weeks, they found a house and van, and the husband of the family had found a job. I however, was still unsuccessful in finding a place in the land. After two weeks, the elders of the church found that I was “AWOL” and called me into the office with the man who had been letting me stay with them. I was told with scripture that I had to turn myself into the authorities. I had to fulfill all righteousness to be a true disciple of the Lord. I agreed quickly upon hearing from the Word of God. I was told that I had a week to prepare. I concluded that it was this that had kept the doors closed to me in the land. So I wanted to get things right as quickly as possible. I turned myself in to the local recruiter. I had been gone for about 4 months. The military sent me to a base in Texas to get a court martial. On the way there and while there, I was treated like and called a traitor. But I abided it all. While in Texas, my dad found me. He talked with my lawyer, and the lawyer told him that the military would probably put me in prison and throw away the key. However, this was not told to me (not until much later). I was told that I would be probably found guilty and the military would slap my hands and let me go. They probably would take all my rank away and give me some punitive discharge or something to that effect. When the trial came, the judge asked me my plea and story. I told him that I was not guilty because I fled believing that my life was in danger. He asked, if I had any evidence of that. I told him my reasons concerning my faith and that I had also became dehydrated. He was surprised at this and called for my medical records. It was there as I had described. Praise the Almighty King and Judge! Because after a short recess the judge came back and found me not guilty. There is some code or law that protects military personnel from undue judgments if they flea for self preservation. My lawyer further told me that this case was remarkable and probably historical. That a christian would win his case against the military. He also said that if the media had known, it would have been national news. However, it was not published or known. My lawyer was an assigned military lawyer. The military did not let me go. Instead they sent me to Virginia, where I was to board a modern aircraft carrier that was about to go to the Gulf War one. I had learned that running away was not the answer. And I knew that God wanted me to stand for Him and that I was to go before my superiors, refuse to participate in the continuance of my military service, without running, and willing to accept any punishment they would give me for disobeying orders. I was to accept that punishment; because disobeying man was the lesser crime than the sin of disobeying God. Even if the crime was prison or death. I did not make any of these decisions based upon the war, nor for fear of being in it. But only for the reasons stated earlier: fear of God. When I got to Virginia and found out about my assignment, I had determined to follow God. I went to my supervisor and told him that I refused to board the ship, and wanted out of the Navy. I told him that I would not run and that I had just been found not guilty in a court martial. He was not upset but was surprised. He took me to his supervisor, and all the way up to some high ranking officer. This officer could not believe my story and called the base of my court martial to confirm it. He was astonished to learn the truth. They were all baffled with this situation. Here I was, submitting to them, but refusing to participate in any military work that would further my stay in the military. In the end, they used the command of an officer to verbally command me onto the ship. I refused. I think he asked, “Do you do this because you hate me?” I suppose he was in trouble himself because of my actions, or was made to look bad, but I responded, “Sir, I love you, and will pray for you, if you will allow I will hug you.” I got up as if to hug him. He got angry then, told me to be sit down and be quiet. This guy was absolutely angry. He ordered me stay in his office, and they all left to board the ship. I must have been there 30 minutes, 90 minutes or possibly more while waiting. My senses were so keyed up I am uncertain how long it was. I waited alone, in an office, in a hanger, that was empty of man or equipment. Finally some SP’s came (security patrol). I don’t know if they were sent or if they were doing their rounds when they found me. They took me to I what I think was Base Operations. Where the real Big Boys were. There I waited, until some officers called me into their office. These guys were very high ranking officials. They demanded to know my story and I told them. The highest officer said that they would load me on a helicopter and fly me onto the ship, because the ship had already left. He said that they would send a helicopter just because of me. That I could not get out of going to war. He was quite upset, and wanted to force me on. I told them that I had been ordered aboard several times, and that if they wanted to, they could manually carry me aboard, but I would refuse to walk on or off the helicopter or onto the ship. They were quiet after that. The high ranking officer stormed off. In the end they couldn’t or didn’t do anything to send me onto the ship. I got sent to the barracks where the enlisted guys waited to leave the military and also where the less offensive law breakers waited for court martial or Captain’s Mast. A Captain’s Mast was offered to me and I accepted it. While waiting for the Captain’s Mast, I was put in the same kind of barracks I was in for my court martial. The day came of my Captain’s Mast. He was polite, to the point, and professional. I gave my story, he asked questions, one of which was if I was a christian. He asked about my feelings about the war, and I told him war had nothing to do with my decisions or actions. His judgment was: loss of one rank, 30 days in detention with extra duties, and an Other than Honorable Discharge. This is an administrative discharge, not a punitive discharge. Where no benefits are given but neither are there any penalties with your release. I found out later, the officer was a christian. I did my 30 day’s detention and was soon released from the military. I moved to Texas, to the church where God told me to go to Bible school. I found a job and a place to rent very quickly. The land had opened for me. I went to Bible school for 2 years, but then disobeyed God again, this time I stayed in Texas, after Bible school instead of moving back to Wisconsin. I loved the church very much, but I never thought it was perfect. But to this day, I believe, it is the most Biblical church I have ever seen, heard of, or experienced in any way. However it did fall into a cult in my last days there. One teaching they have, called “Kisser/Cleaver”, is to teach people to stay there. It teaches to become “planted” in the land. Many folks have gone there for school and left. Maybe this was their way to try and keep some, or perhaps they truly believed every student belonged there to stay. But for whatever reason they had for this teaching, they caught me with it, and I disobeyed God yet again. I decided to plant myself there. I had become a man-pleaser yet one more time. Despite my missing God, I learned a lot there and gained a good reputation and respect from the people and the elders. Most importantly I learned much of God’s ways and the gifts He had given me, and a beginning of how to use them. 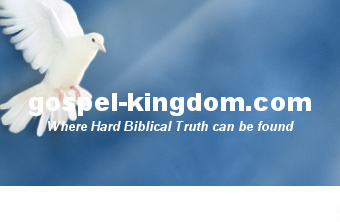 I learned a great many of Biblical Doctrines and theologies, most of which I believe to be very accurate. Many of which are found on my website. To this day I agree with much of what they taught. After about 3 years there, I began “dating” a young lady from the church. And I believed it was to lead to marriage. The problem began at this point. The church would not marry anyone unless there was a prophecy or a word from God in the church or to one of the elders, stating that the marriage was from God. It had to be VERY dynamic. Because of this, there were few marriages at the church. And so, they would not marry us. They believed it was not of God, and that I was much more mature spiritually than her. This angered me, I was torn whether or not if it was God’s will, but was upset that they wouldn’t tell me where I was missing God. God showed them that I was missing Him, but they couldn’t discern what. Of coarse not, because all of us involved thought it was God’s will for me to be there and it wasn’t. Yes God wanted me there for school. 2 years of school would have been fine, but I had stayed 2 more years after the first 2 years of school. Because I wasn’t sure of God’s will in the marriage, I didn’t marry her, and I had begun to lose her. Which frustrated me emotionally. She stopped seeing me regularly, we were forbidden by the church to see each other anyway. But through this God was working in me His will. That is, through trials, we begin to see the sins in our life, so that we can repent of them. We also begin to see what it is God wants us to do. For indeed I had missed God, he wanted me in Wisconsin. Although they would never say it, nor did I acknowledge it until much later. Several spiritual things happened during this time. During this time, the church had a REALLY big change. The minister who had started the church had found some older men of God, and he was submitting to them and his personal ministry to them. Since the church was nondenominational, he believed he needed personal accountability. This was for him, not the church, they were not over the church in any way. Anyway, it was 1 older man in particular and 2 others that ministered with him. They did minister to our church but were not involved in the church governments. The 3 men came to minister to the congregation. They were to give a word from God to each person at a service, through prophecy or other gifts. God sees you and your situation. He is happy with you. And He says that you are NOT squandering YOUR inheritance. And He says that He will keep your relationships. The elders were beginning at this time to talk about my situation in front of the church and to certain groups within the church. I was being condemned as being in sin for pursuing this girl or rebellion against them. I was condemned for squandering my spiritual inheritance in the church. I woke up instantly and sensed the same exact fear trying to permeate my soul in my room. There was a 3 dimensional black humanoid next to my bed about 3 feet tall. I knew it was a demon, and I took the same stance. I said, “I command you to leave in Jesus name.” The demon walked through the wall under my Air Conditioner and left the apartment. I prayed in tongues and in English for awhile after that. It was shortly after this, a couple weeks or so, that the Lord told me that He would or had removed the church’s authority from me. It was only 2 days after that He told me to leave and go to Wisconsin. The church fell into cult activities and removed all the older ministers who sought to cover them. I got married to another woman and had 2 sons. My oldest son, when he was 16, collapsed in the bathroom one morning while getting ready for school. By the time I unlocked the door and got in there it was probably over 3 minutes and his heart had stopped, so we called 911. It was about 8 minutes later when they arrived. And it was probably over 5 minutes after that when he was resuscitated. Statistics and study have determined that every minute without a heartbeat is a 10 percent chance of not coming back. You do the math, on my son’s chances of coming back. The difference in my son’s case? I prayed in tongues when the rescue squad was there working on him. Yes I believe in the raising of the dead and other miracles. I have seen them, and been on both ends. Many not listed in this testimony.